I’m diggin Michal Tatarkiewicz’s Subway Drawings. It reminds me of my room and desk… plastered full of sketches on every corner! If your a designer or artists, pin those sketches up; the rough, unfinished, drafts, doodles, refined,…seriously, it’s great to see sketches all over the place, or in Michal’s instant in large format! I’ve been to a few restaurants where they give ya a bunch of crayons and an entire table to sketch on… after some time, they post them all up on their walls. Makes for a great environment…napkin sketches at their best. A bunch more pics on his myspace page. 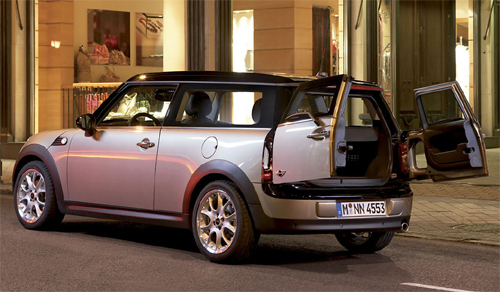 Mini, Clubman, Cube, xb, wat what! I’ve been craving a new car for some time, waiting on the Nissan Cube to hit the states (2008) while hopping on the hybrid fuel Toyata Prius bandwagon, as everyone should, but the soon to be released Mini Clubman (stretched mini) has really caught my attention, being small, a bit boxy, and oddly cute like the other cars that I’ve pondered over such as the Scion Xb, Honda Element, and the o so small Smart Car. Of the bunch only the regular mini, xb, and Element are out. I think I can wait as the Mini Clubman (spring 2008) seriously rocks, but I’ve heard rumors that the Nissan Cube (late 2008) is suppose to be a hybrid, as it’s also a 4 door which I like… but the Clubman has this odd 3rd door on the passenger side, much like a secret VIP door to the back seat and some cool barn yard like back doors. So what does it come down to for me and my next ride?…hmm, fuel economy, cool-oddness, space, fun, comfortable, and some sweet unusual extras. (yes, I know I’m kinda into this boxy pixel thing) Anyhoots, I thought I’d just share my thoughts with ya’ll, perhaps getting some input on what to do or any other thoughts on oddball sweet rides… ooo..Regular mini, Mini Clubman, xB, Cube3, Element, Smart, or I could always just settle with the square “Modular Car“! Some pictures and links after the jump! For the past 5 years I’ve been reviewing portfolios for RISD in Boston and now New York City every fall during National Portfolio Days, giving students tips, and digging a bit deep into who, what, and why they are. Every year thousands of students throughout the world wait in mile long lines in the frigid air seeking reviews and tips from schools in all corners. RISD tends to get several tables being one of the largest schools in the nation and many individuals wait for hours just to get a few minutes with us. I went through this experience throughout high school, so I know how disgruntling it can be. I try to talk to each individual as much as possible, but with hundreds waiting in line it’s tough to dive deep into students personal passions, directions, and experiences without going straight to the basic tips. Many don’t get to see us, hence I thought I’d post some basic points from my experience in what design/art schools seek for incoming students. The tips after the jump! Cool! 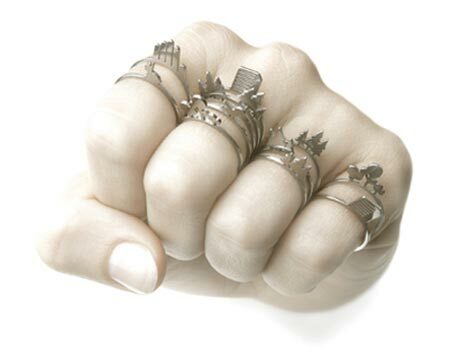 Styling a landscape of coolness on your knuckles, though a bit dangerous for reasons ;). 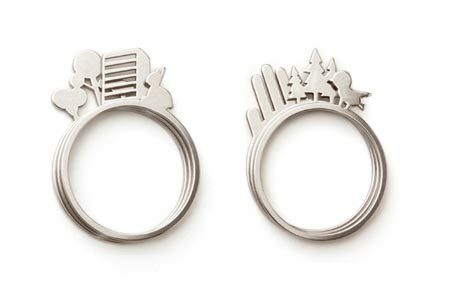 I’m diggin the bird, trees, and bunny. What an exhausting fun filled thanksgiving week/end! I was out in the Vegas area with family and friends pounding out hours of non-stop eating, mahjong, wii-ing, casino visits, shows, shopping, and many goofy hours with my many cousins in arcades (punch the duck game above) and everything else. Good times! I’ve only returned to find out that a parking ticket I appealed 3 months ago got declined for no reason. I had pictures etc supporting the wrongful ticket, yet they will only let me dispute it in court, meaning take a day off from work, or pay the crummy $50. I really don’t understand why they don’t fix their system. Sure this system makes people pay more tickets, but when a wrongful ticket is given, the only choice is to pay rather than take a day off. Design Note: Making money can be a sign of a great business, but sneaky tricks will lower the brand trust and the longevity in a business. Users come first in my world… always! Don’t you love those brands that just fix things without asking questions, then hate the ones that do ask! – Pancaking a truck video! – Amazon.com launches “kindle”, their e-book/ink reader. – Creative IKEA ads… I wonder if these layouts would be good? – Swims: Rubber slip-on booties for your nice shoes. – Cool origami folds using bills! – What hundreds of thin paint layers look like stacked! – An Interview with Jim Gromen on the rebirth of MadBalls! – Another Eco Friendly Powerstrip! – Google Android (G-phone) emerges! TED 2008 Prize winners announced! The 2008 TED prize winners have just been announced. As usual they are stunning individuals with global minds and big ideas! Check out the winner through the TED video above or here. I can’t wait to hear their dream announcements in March. Cool! 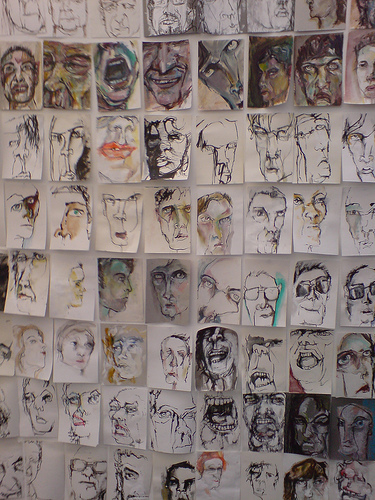 6000+ drawings of heads! Reminds me of the RISD freshmen year days when we had to draw 100 self portraits in a week. Fast ones, long ones, quirky and scary, then slow and meticulous. Use a pen, a pencil, your left hand then right. Draw it in the dark, the light, then smug it up with water or blend it up and make paper out of it… ahh, those were the good days! Thought of the week: You can’t innovate without risk. – What is fake crab meat? Surimi! – The power of Obama’s face! – Katana vs Bullet video. Who wins? Here’s another great TEDtalk by Vilayanur Ramachandran on the brain, phantom limbs, synestesia, and how vision plays a critical role in all our minds. Many friends ask me why am I so scientific about design, or why do I dissect every element possible before concluding to a final design direction (interaction, experience, and industrial design). Usually I just say there is no other choice, but such videos as the above explain it all. There is reason for everything and that’s the exciting part. I can stop and say I just like a design, but to figure out why someone likes, hates, or experiences a design differently is the good stuff. Everyone has a different experience growing up hence in my world there is no such thing as an exact definition but only dynamic definitions. This goes for words, colors, emotions, scents, ideas, cultures, objects, people, etc. Anyways, I won’t dive into this argument too long because there is no wrong or right… just an opinion. I’ll admit I wasn’t always like this, but I’ll list a few videos over the years that have that made me dive deeper into the “design thinking” world. Hearing from non-designers is key in our future. We are a hybrid society of designers. If you inspire only from designers, you’ll just become the same… so diversify and become the hybrid that we all are. Seth Godin (video)(gel video)- Marketing, Purple Cow, Marketers are Liars. So many to name, but this is a good list to start some disrupting. 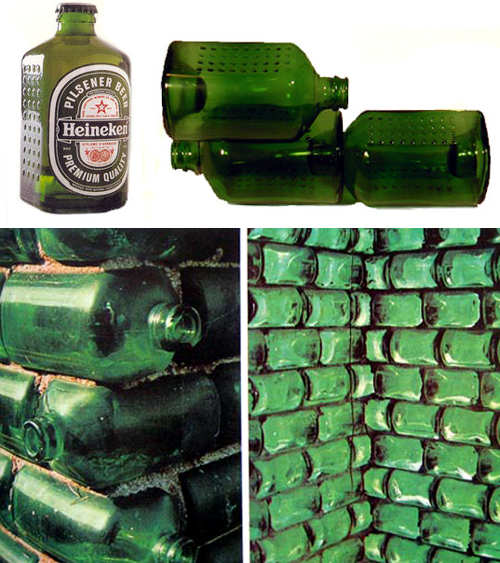 Heineken World Bottle: Beer to Bricks! Sweet goodness! What a great idea. Manufacturing Beer bottles to convert to brick structures for later use. This reminds me of the POM bottles that can be used as regular glass cups for home use. Why can’t this come back to reality! The amount of bottles tossed each year is absurd. Makes me want to ask photographer Chris Jordan to make a visual map of it for his “Running Numbers” series! (Did ya know in the USA alone we go through 106,000 aluminum cans every 30 seconds! It’s absurd!) There’s also the “66 Beer Bottle= a cheap solar water heater” direction. “Upcycling is a 21st century term, coined by Cradle to Cradle authors William McDonough and Michael Braungart, but the idea of turning waste into useful products came to life brilliantly in 1963 with the Heineken WOBO (world bottle). Envisioned by beer brewer Alfred Heineken and designed by Dutch architect John Habraken, the â€œbrick that holds beerâ€ was ahead of its ecodesign time, letting beer lovers and builders alike drink and design all in one sitting. 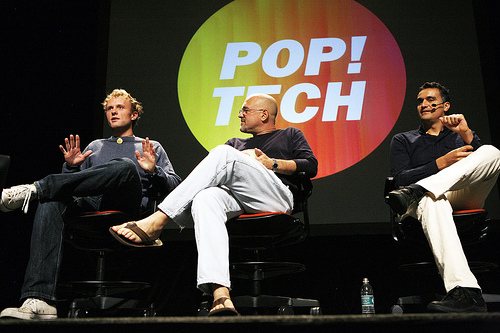 Afterwards, watch some of my favorites from TED2006 here.